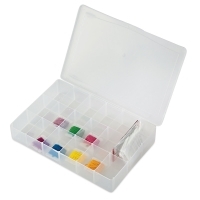 Sort and organize your needlework colors in this floss organizer. 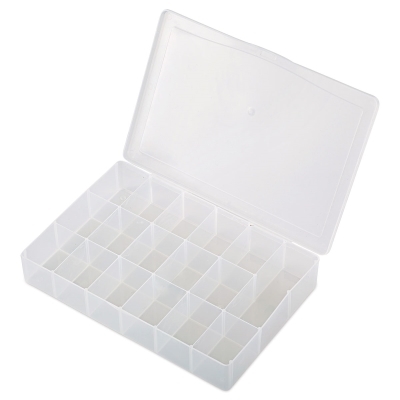 Made of semi-clear plastic, this storage box has 17 deep compartments for all your needle crafting supplies. 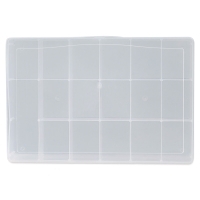 It holds embroidery floss, bobbins, scissors, tape, and more.